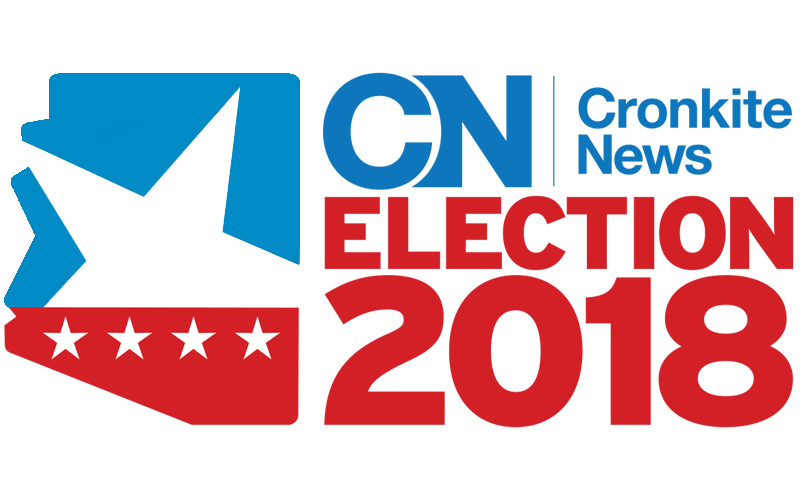 The election is Tipirneni’s second race against Republican Debbie Lesko for the 8th District House seat. Lesko narrowly defeated Tipirneni in an April special election to fill the seat Trent Franks vacated amid sexual misconduct allegations. Tipirneni, 51, said she would take steps toward expanding Medicare, as well as “stabilizing some of the negative steps” the Trump administration has taken, such as removing the individual mandate and removing protections for people with pre-existing conditions. “One of our big steps forward is turning Medicare into that public option – making sure that people can buy into Medicare, letting it compete in the marketplace,” she said. Accessible health care is connected with education and economic opportunities, Tipirneni said. She sees disparities between schools in District 8, which includes much of the north and west parts of metro Phoenix, and schools in other wealthier areas. She said she has many constituents who struggle to stay afloat and work multiple jobs to support their families. Ultimately, she said, she would like to match the economic growth seen in the East Valley. Tipirneni said she’s put together a comprehensive plan to reduce gun violence. Tipirneni, who called gun violence a public health crisis, doesn’t see anyone in the U.S. Capitol aggressively addressing the issue outside of offering up prayers for victims. She said although a definitive answer to quelling gun violence is not clear, the hesitation of leaders to broach the topic is ridiculous. What in your past work, political or volunteer experience makes you a better choice to hold this office? Tipirneni now works as a cancer-research advocate after years of working as an emergency room physician. From her work in cancer research advocacy to her time spent in the emergency room, Tipirneni said she has nurtured a sense of empathy. She said the ability to connect and resonate with others is in short supply, which is why she’s running. “I don’t feel like we have representation in this district in the sense of anyone really feeling that they’ve connected with the families throughout the district and said, ‘Hey, I’m fighting for you. I’m fighting on your behalf. I’m going to be your family’s champion,’” she said. Her years of residency at the University of Michigan Medical Center, Tipirneni said, were the toughest of her life physically and mentally, as she learned how to “dig deeper and work harder.” Those lessons apply to her campaign for Congress. “When you know better, you do better” is Tipirneni’s mantra. She also uses the phrase to encourage people to use their gained knowledge to their benefit – and the world’s. “It’s important to seek out what you don’t know. Once you know, let that guide you to do better,” she said. Tipirneni uses a family calendar app to stay connected with her two daughters and son, coordinating their schedules to determine the best times for phone calls or FaceTime chats. 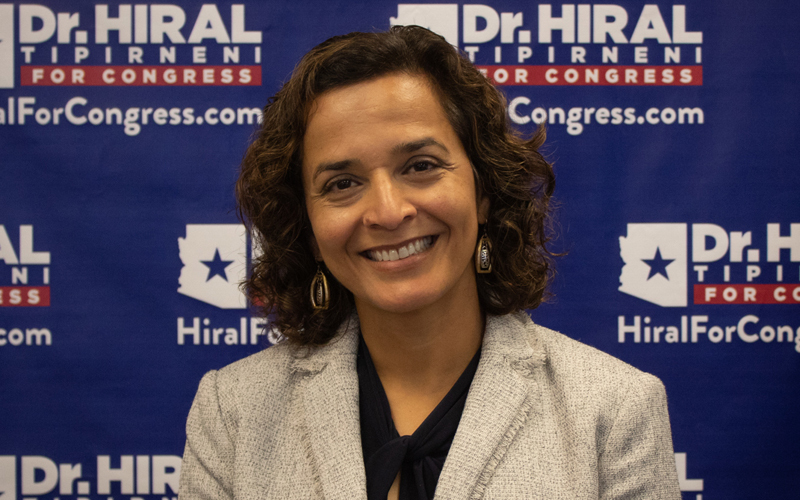 Campaign website for Hiral Tipirneni.